11 Awesome Christmas Cookie Jars! I am crazy about cookies and I think having a fun cookie jar on the table makes them even more delicious! These gorgeous Holiday cookie jars also make excellent last minute gift ideas to anyone! They are not only FUN to have (and collect!) but also very beautiful! *Look who is making fresh cookies for Santa! This has got to be the most fun and unique Christmas cookie jar ever! Santa is already eating all the cookies that Mrs. Claus just made! Hurry, or else you won’t get any for yourself! 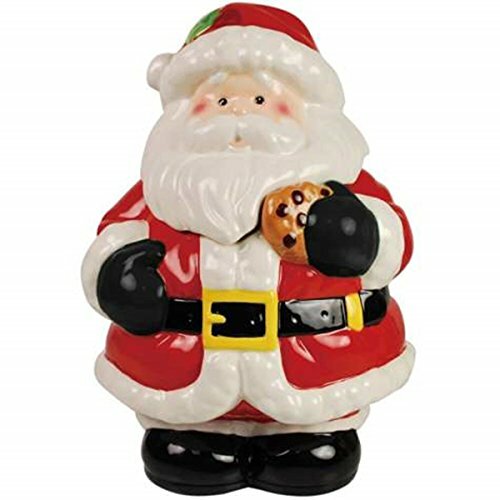 This is definitely one of my favorite Santa Claus ceramic cookie jars around! I bet I know what’s inside this gift box!! The Most Beautiful Christmas Cookie Jar! 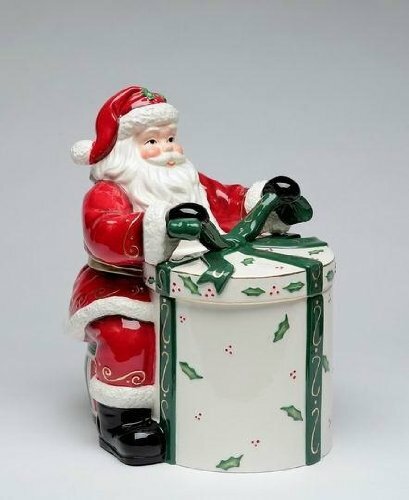 What a stunning Santa Claus cookie jar for sale! Santa is holding his HUGE gift sack full of toys and presents for everyone! When you lift the top, guess what you will find inside? This is the perfect Christmas gift idea for any cookie jar collector! Gorgeous 3D Santa Cookie Jar! 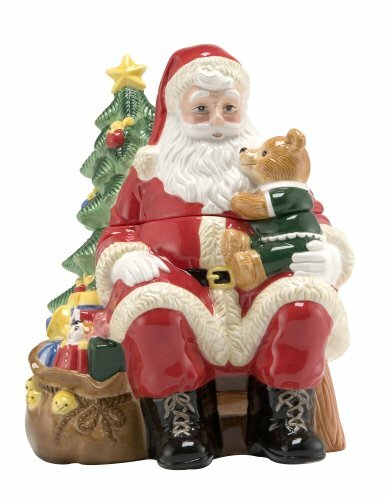 Another favorite of mine is this beautiful and large 3D Santa holding a cute bear on his lap cookie jar for sale! 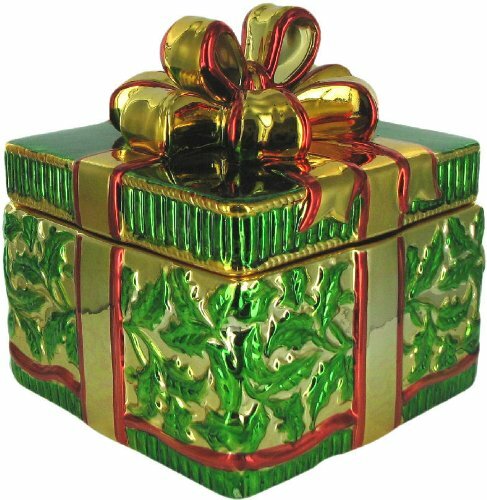 I also LOVE this beautiful Christmas gift box shape cookie jar! The metallic paint is so realistic that it actually looks it’s made of metal right? But it’s actually made of ceramic! Perfect to have on your Christmas table! Almost ALL buyers gave it 5 stars! 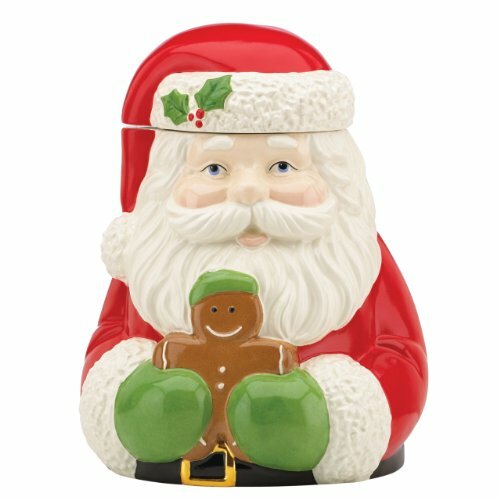 Very Cute Santa Cookie Jar! 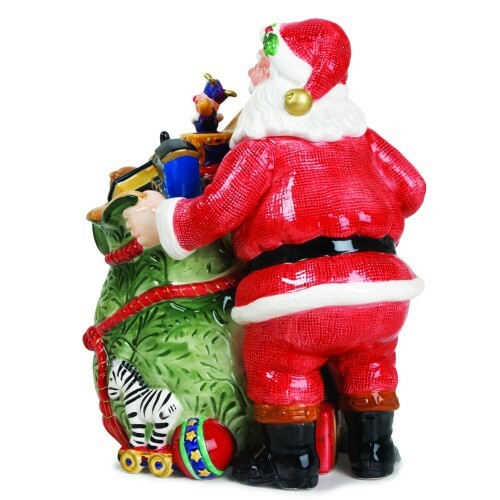 Another cute, fun and very affordable Santa cookie jar for sale! Santa is holding a smiley gingerbread cookie on his hands! Can you smell them already? 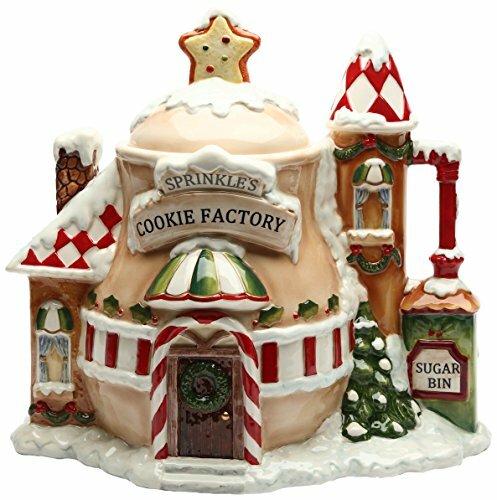 Fun and Amazing KRINKLES CHRISTMAS TREE COOKIE JAR! 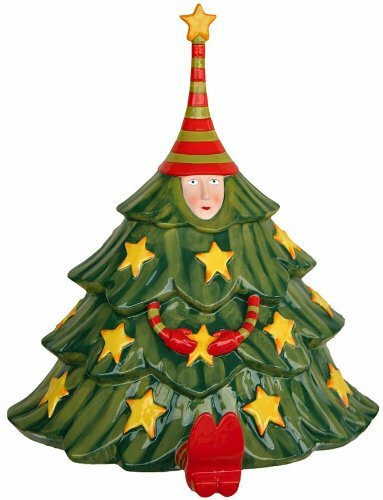 If you were looking for a cool and unique Christmas tree shaped cookie jar for sale, I believe your search is over!! It is also pretty tall, at 14.5 inches! If you wanted to buy one as a gift, you might want to buy two and keep one for yourself! 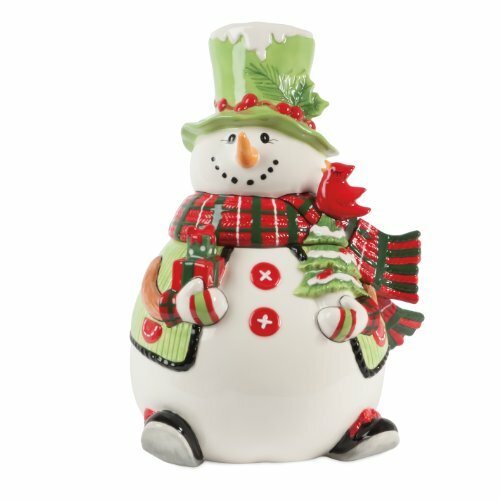 Fun Christmas Trim Cupcake Cookie Jar! How do we choose only ONE? 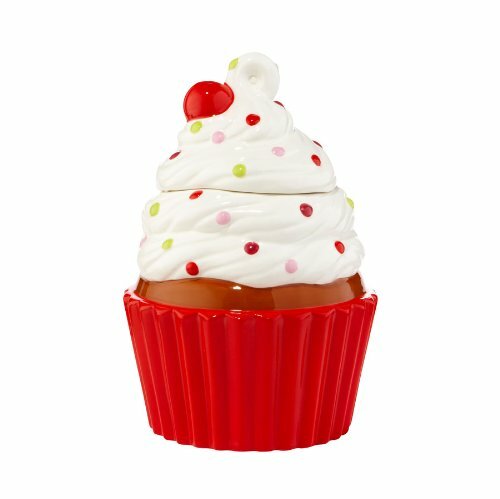 A cute Christmas cupcake shaped cookie jar for sale! No Christmas decor is ever complete without our beloved snowman! The good news is he is gonna keep all your cookies nice and fresh at all times! He is a snowman after all! A must have decor piece on your Christmas table for sure! 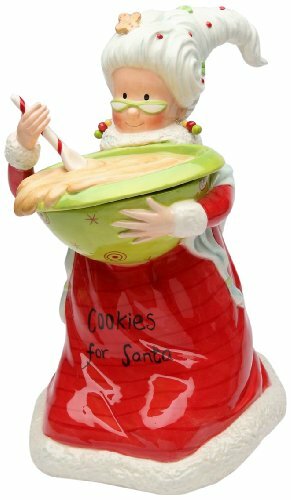 Amazing Ceramic Santa’s Village Cookie Jar! This is where everything happens! All the Christmas cookie baking! This will definitely make an awesome Christmas gift idea for any cookie bakers in the family! (And they will be so happy to be getting this wonderful gift from you that they will ALWAYS bake fresh cookies every time you come over! Fun, Cool and Unique Coffee Mugs! Funny Kitchen Gadgets for Sale!